The US Government has pinpointed some of the largest piracy websites and other copyright infringing venues. The USTR calls on foreign countries to take action against popular piracy sites such as KickassTorrents, as well as Canadian domain registrar Rebel and Swiss hosting service Private Layer. 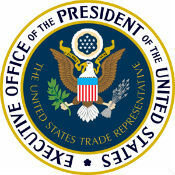 In its annual “Out-of-Cycle Review of Notorious Markets” the United States Trade Representative (USTR) has listed more than a dozen websites said to be involved in online piracy. The list draws heavily on input from industry groups and copyright holders including the RIAA and MPAA, who submitted their recommendations a few weeks ago. While the USTR admits that its overview is not meant to be proof of any actual violations, it encourages responsible authorities to take legal action where it’s appropriate. “The United States encourages all responsible authorities to intensify efforts to combat piracy and counterfeiting, and to use the information contained in the Notorious Markets List to pursue legal actions where appropriate,” they write. As in previous years several of the top torrent sites are targeted, including ExtraTorrent, Torrentz and Rutracker. KickassTorrents (KAT) is listed as well, with the authorities noting that the site’s operators go to extremes to hide their identities and evade law enforcement. “Reportedly based in Canada, over the past several years the site operators have changed the domain name numerous times, obscured or hidden their locations, and have used multiple servers in various countries to evade or otherwise frustrate enforcement actions,” USTR writes. Interestingly, the latest USTR overview no longer lists The Pirate Bay, which was prominently and persistently featured in recent years. In addition to torrent sites the list of notorious sites includes various streaming portals and cyberlockers such as 4Shared.com, Putlocker.is, Cuevana.tv, Watchseries.it, and Nowvideo.sx. Russia’s main social network VK.com is mentioned as well, despite the company’s increased anti-piracy measures. Continuing a trend that was started last year, the USTR also calls out a domain registrar as a rogue actor. According to the Government the Canadian registrar Rebel is servicing a disproportionate number of infringing sites. “This year’s submissions reflect that, while the role of domain name registrars remains an ongoing subject of important discussion, Rebel’s outlier status is evidence that it is not taking measures that other domain name registrars have found to be reasonable to address infringement,” the report reads. Several digital rights groups have pointed out that domain registrars are neutral services and shouldn’t be branded as piracy havens. However, according to the USTR companies such as Rebel should implement policies that allow it to act against clearly criminal activity. In addition to domain registries, the USTR notes that some hosting services have also become piracy havens. The report specifically calls out the Swiss company Private layer which hosts Putlocker.is, Cuevana.tv, Watchseries.it, and Nowvideo.sx. “This group of websites, all hosted by Private Layer based in Switzerland and Panama, are evidence of the rising popularity among pirate sites of certain Swiss hosting services,” the USTR writes. Switzerland is currently working on new legislation to address a loophole in its law that makes it hard to take action against pirate sites, but this plan has yet to be implemented. According to the Government the yearly overview has helped to spotlight several sites and services that were shut down over the past year. This includes the site of the popular release group YTS/YIFY and well as a leading Popcorn Time fork. Whether similar successes will be booked during the year to come has yet to be seen. The full list of the notorious online sites and services that are highlighted in the report (pdf) are included below. c There are 109 comments. Add yours?